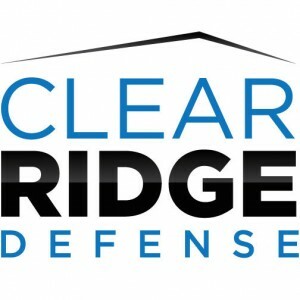 Baltimore, MD, Apr 20, 2016 – Today, Clear Ridge Defense (CRD), a cyber defense contracting company in the Ft. Meade community, turns one year old. The company launched in 2015 with the vision to provide information dominance efficiencies and share lessons learned across the Service Cyber Components under U.S. Cyber Command. “We exceeded our first-year goals early,” says company Founder and Chief Executive Officer, Jeffrey Bullock – “so we’re really challenging ourselves with much higher objectives for years two and three. If your dreams don’t scare you, they’re not big enough.” CRD recently brought a Business Operations Associate on-board to support the increased operational demand. “We’d love to play a supporting role with each of the Service Cyber Components within two years,” says Bullock, “and we’re pursuing the contract vehicles now in order to make it a reality.” Within the year, the company hopes to obtain the Historically Underutilized Business (HUB) Zone certification by the Small Business Administration, as well as approval of their accounting system for federal Cost Plus type contracts. These approvals will open up additional growth opportunities in 2017. Bullock founded CRD after a 7-year career with the Space and Naval Warfare Systems Command (SPAWAR) Systems Center Atlantic where he oversaw support to United States Cyber Command (USCYBERCOM) and the Service Cyber Components. CRD is headquartered in the CyberHive at bwtech@UMBC North. CRD (clridge.com) is a defense contracting company providing specialized cyber capability and mission support services to the Department of Defense and Intel Community in the Ft. Meade, Maryland area. CRD historically has supported the Navy and Marine Corps service elements.